When it comes to deciding whether you should visit former Yugoslavia, we have one tip: let your tummy be your guide. Even if you’re not the type of person to be impressed by its breath-taking nature, cultural monuments, or the friendly people, the food is guaranteed to blow you away. 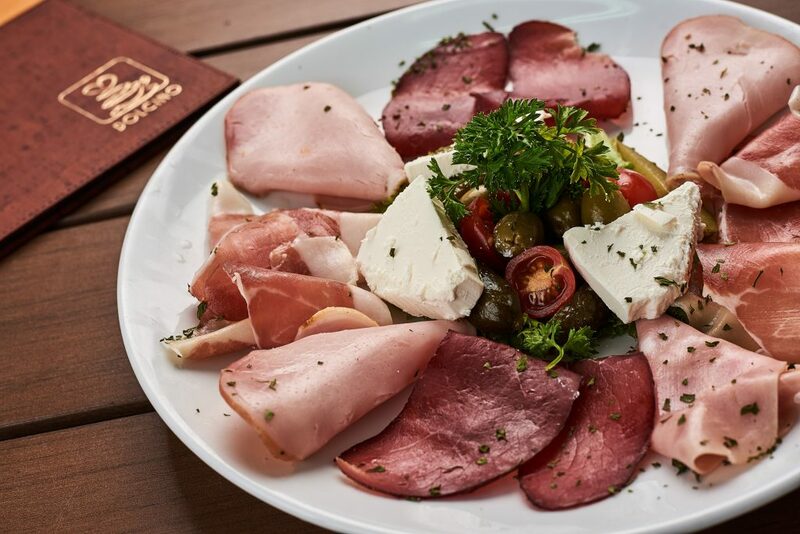 If you’re wondering what the cuisine of six Balkan countries combined into one was like, we have an answer for you: in-cre-di-ble. While they are delicious separately, uniting them into one only amplified the savor. The fusion of flavors on your plate will make this, one of your most memorable trips. We hope we’ll provide some ideas for you to try in traditional restaurants or, perhaps, attempt to make at home! The ethnic and geographical diversity present in former Yugoslavia are reflected in the cuisine. With the seaside in the west, fertile plains in the north and numerous mountains, Yugoslavia was one of the few countries that featured such variety. The six federal republics have somewhat similar cuisines, with certain minor distinctions, typical for specific regions. The usual breakfast will consist of various pastries or eggs, along with some yogurt. Just ask some locals what you should order. Our recommendation are either prženice (a type of french toast) or popara – an interesting creamy dish made with bread and cheese. Unlike in the West, lunch is the main meal of the day in all Balkan countries. Traditionally, it begins with some type of soup or broth. People here firmly believe that “eating with a spoon” , as they call it, is very important for good health. The liquids are usually followed by meat or fish along with some vegetables and a salad. The Yugoslavs eat lots of potatoes prepared in different ways. So, whether you order meat or fish, you’re very likely to get potatoes on the side. 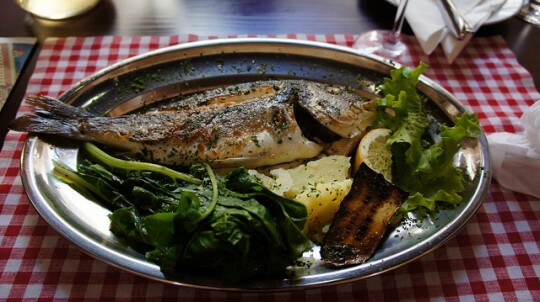 When served with fish, the potatoes will often be boiled and accompanied by chard and garlic, as this is the traditional way of preparing them in Croatia. In every one of the six republics, dairy is present in many dishes. You absolutely must try the famous Pirot, Pag and Livno cheeses, as well as kajmak (a dairy product similar to clotted cream). If you’re in the mood for some luxury, travel to the Zasavica nature reserve in Serbia and try the most expensive cheese in the entire world, made from donkey milk. It costs around 1000 euros per kilo! However, if you don’t eat animal products, there will be plenty for you to try out as well. There’s a lot of vegan dishes and options since many people fast according the the Christian church rules, meaning they don’t eat animal meat or products in certain periods of the year. Let’s start with your brief food tour through the republics! Macedonian dishes are the synonym for good, hearty food. You must try the most famous national specialty – tavče gravče. This thick, chunky stew is made with butter beans, onion and red pepper, and it’s perfect comfort food for the cold winter days. You’ll notice that the Balkan people eat a lot of vegetables. Therefore, the Macedonian turli tava is typical for this region. If you’re craving a warm plate of okra, potatoes, eggplant, peppers, onions and meat, you know what to order! Bosnia and Herzegovina is home to some of Yugoslavia’s best pastries and grilled meat. 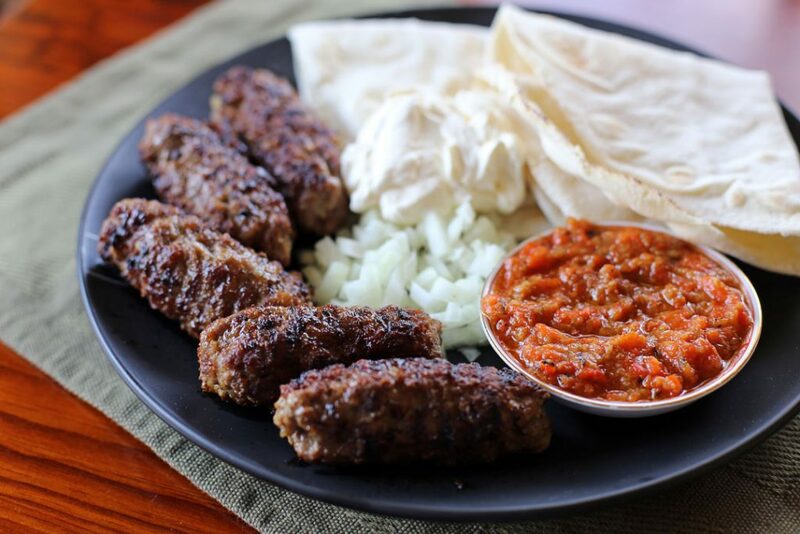 In fact, if you had to try only one thing on your trip to this country, it should be the well-known ćevapi (grilled sausage shaped minced meat). Although they’re traditionally served only with chopped onions, some add kajmak or red pepper. 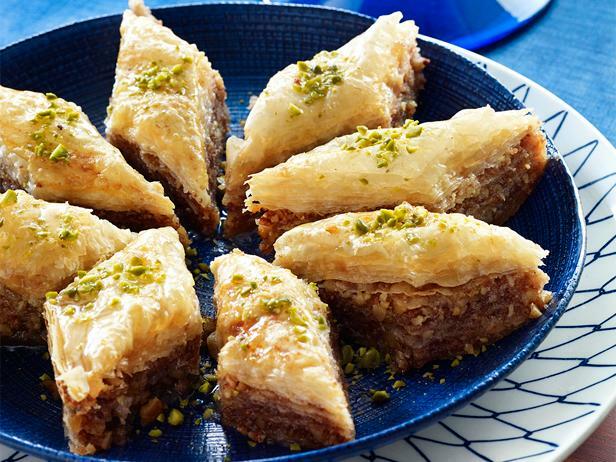 This craggily beautiful country will have you lusting after its desserts, typically consisting of dough drizzled with sugar syrup and/or walnuts. Our pick – urmašice and baklava! Other than that, the thing that’s considered God’s gift to Yugoslavia is the Bosnian burek. It is a meat and onion filled flaky pastry that many eat for breakfast. Even though in Bosnia burek is only made with meat, in other Balkan countries it can be filled with cheese or cheese and spinach. Trust us, it is absolutely mouth-watering along with some yogurt. 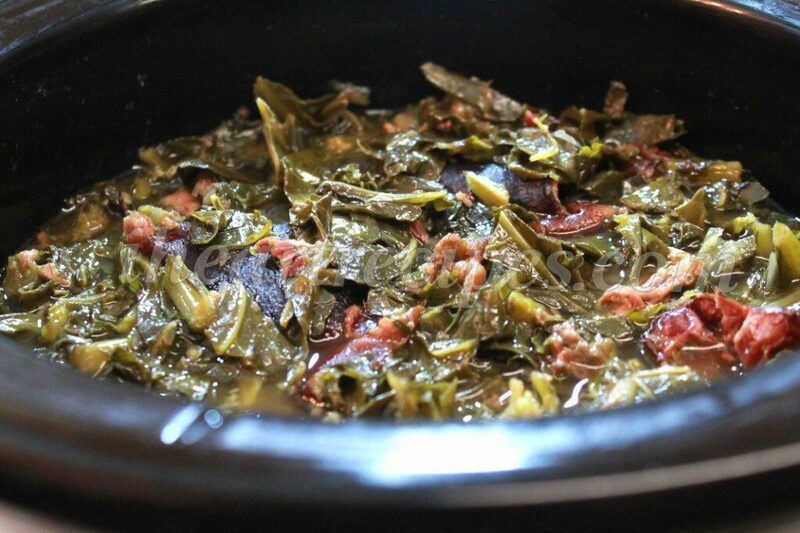 In Montenegro, winter is not winter if you’re not eating collard greens with smoked meat. It blends perfectly with the idyllic hills and sea landscape. Montenegrins like to say that the influences that shaped their country’s cuisine were “brought by the wind and sea and protected by the mountains”. 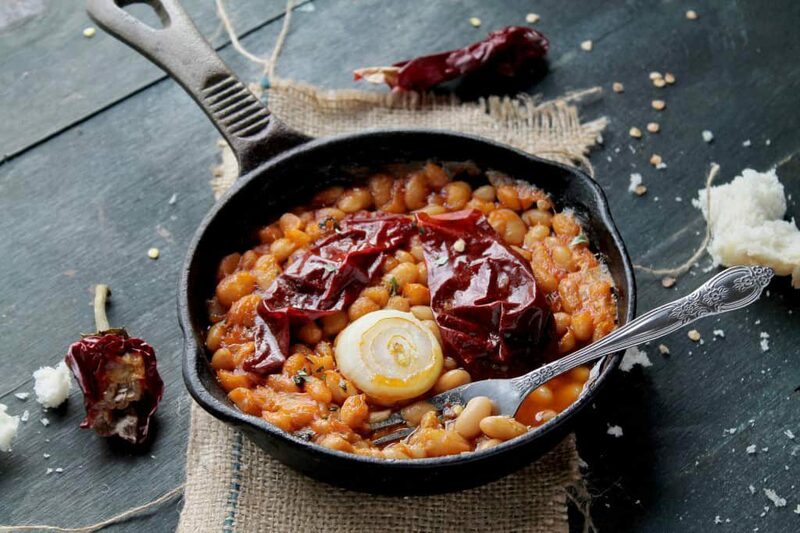 Something that brings people from all Balkan countries to Montenegro is Njeguška pršuta, a specialty of the Njeguši village. 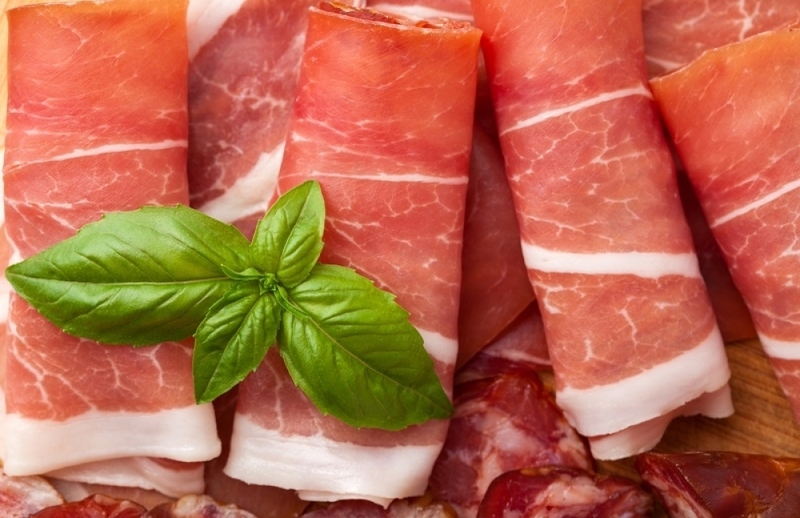 It’s similar to Italian prosciutto, but the Njeguši climate and altitude create the perfectly unique conditions for making this prosciutto. Croatia was, and still is, well known for its seafood. Don’t forget to try various types of fresh fish as well as squid, oysters and octopus. Make sure your dish is seasoned with some sun-grown herbs such as rosemary, basil and oregano. Something you’ll definitely notice in certain parts of Croatia is the influence of Italy. People use Italian words in their everyday conversations and also make food similar to that of Italian origin. Therefore, pasta with local olive oil is a must-try! Just like you can feel the vicinity of Italy in Croatia, the Austrian presence in Slovenian cuisine is very noticeable. 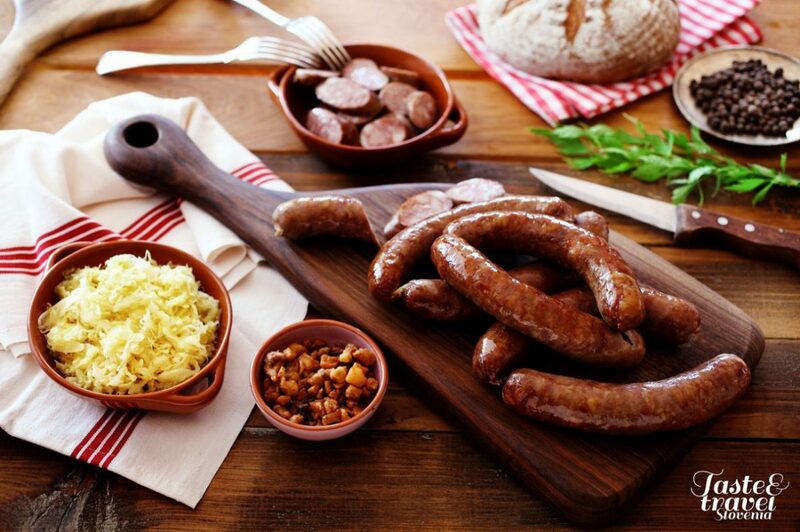 One of the most famous Slovenian dishes is the Kranjska sausage (named after the town Kranj). It’s absolutely delicious served with sauerkraut or some baked potatoes. 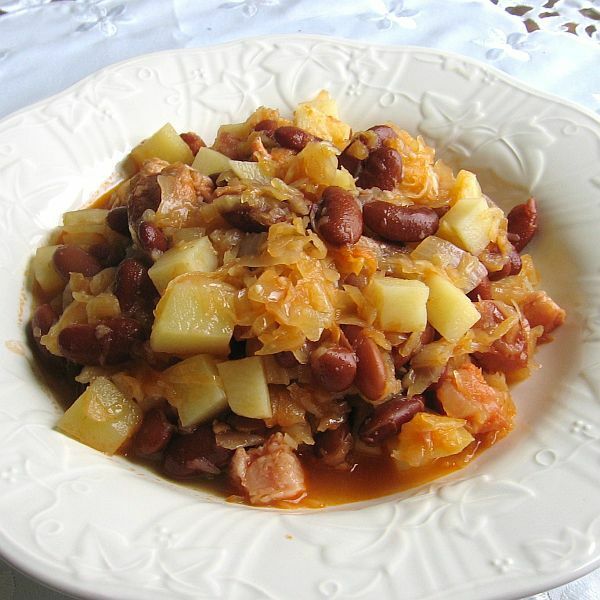 Make sure you get a spoonful of jota – a Slovenian soup made with sauerkraut and kidney beans. 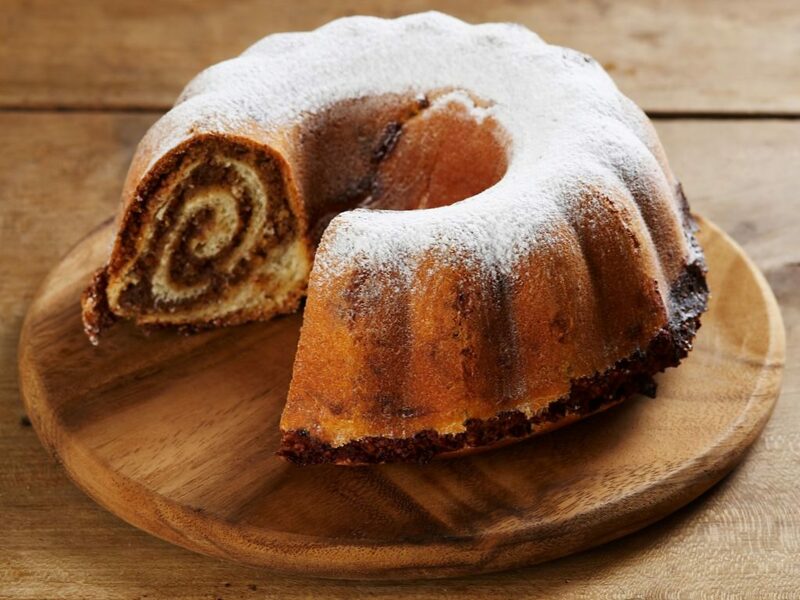 Also, Austria brought the love for strudel, so a typical Slovenian potica is similar to the Austrian staple dessert. Serbia, being located at the crossroads between East and West, has developed its gastronomy with the help of various influences. They stretch from the Middle East to Central Europe. 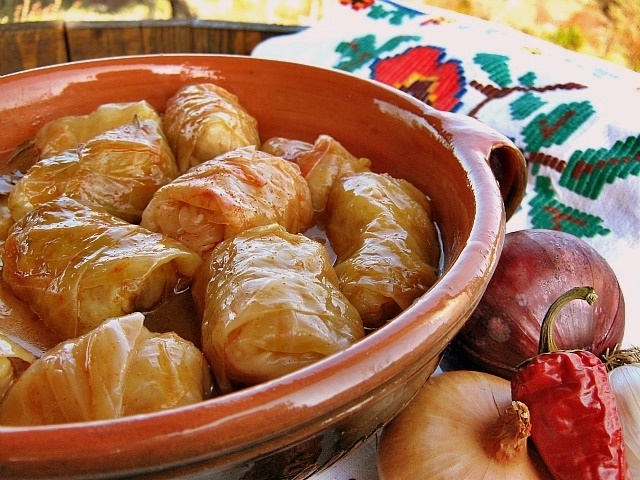 One of the most loved Serbian dishes, often served on slava (a Serbian ritual family festivity in the name of the family’s patron saint) is sarma. 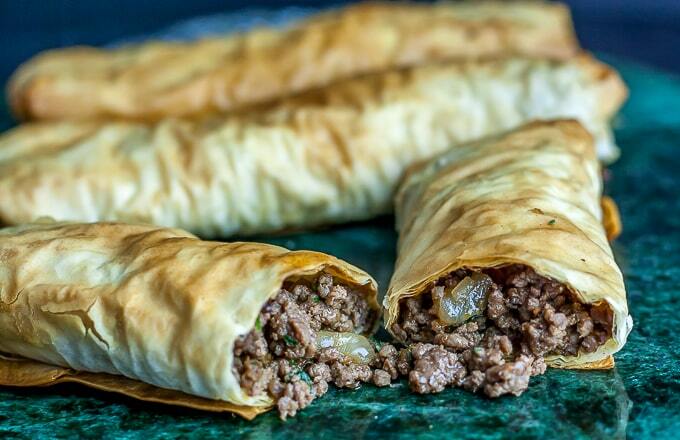 Sarma is a sauerkraut roll filled with minced meat and rice. A more Mediterranean version of this dish is made with grape leaves instead of cabbage. 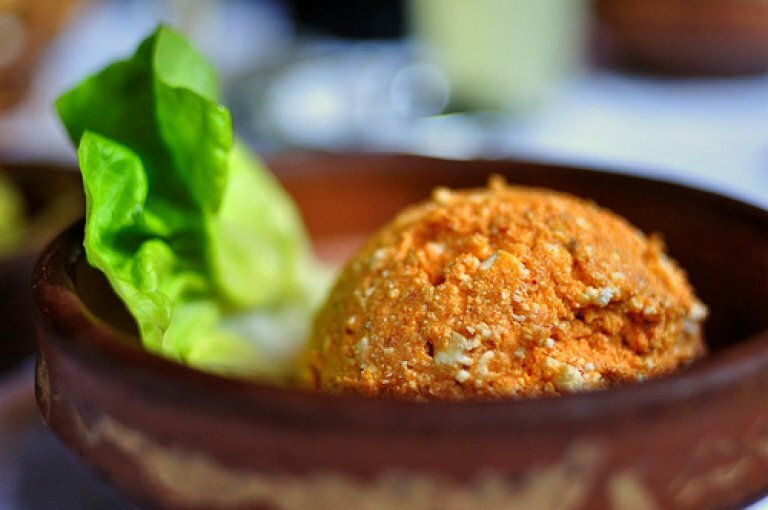 The south of Serbia is famous for more spicy food. Try the urnebes spread (made of cream cheese and hot pepper) along with cornbread for a typical Serbian breakfast or snack. 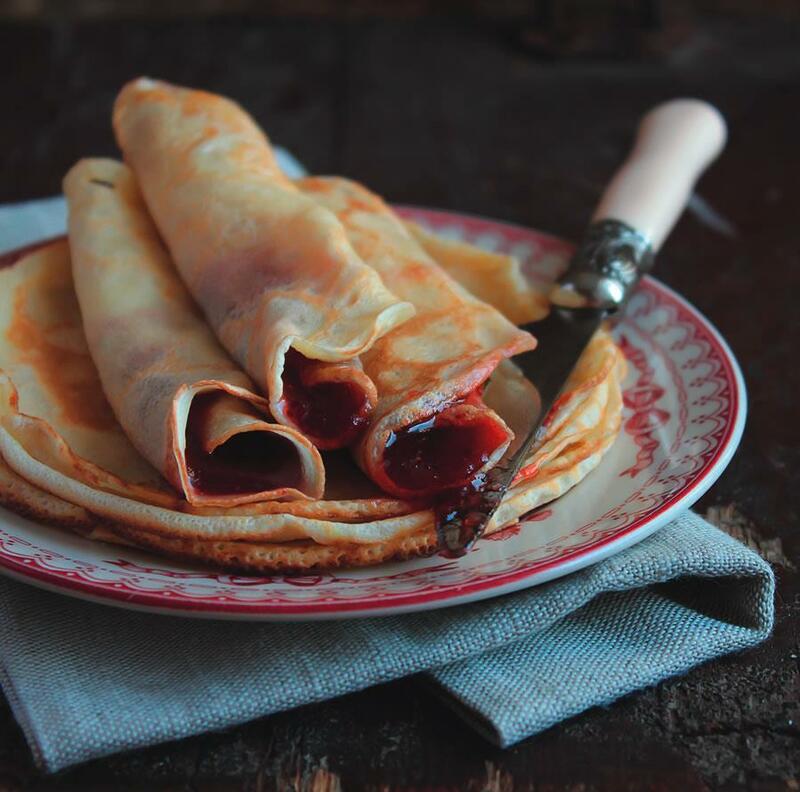 Finally, a common Serbian dessert is palačinke (a type of crêpe) filled with homemade jam or walnuts. Guaranteed to make your stomach growl! Food is actually part of the culture in the Balkans. People are traditionally very hospitable and good to their guests. When you visit someone, you will often be offered some snacks or meze (usually some cut up cheese and sausage or ham), or even asked to have lunch with your hosts. 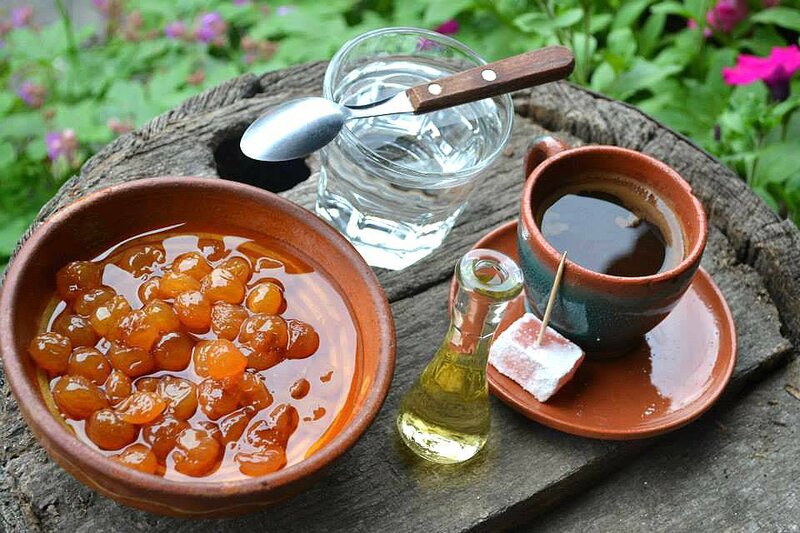 An old custom, still present in some areas, is serving slatko (a preserve made of fruit or rose petals) along with coffee. Taking a spoonful is considered to be good manners. In the fall and early winter, people from former Yugoslavia make zimnica. Zimnica is a way to preserve vegetables and fruit and consume them during the cold days. It’s made with pretty much anything that can fit into a jar. You absolutely must try the homemade sauerkraut, turšija (various pickled vegetables), ljutenica (a spicy vegetable relish) and, of course, ajvar. There is actually a saying that there are two kinds of people in the world: people who tried ajvar and people who haven’t been to Serbia. Let us paint the picture of just how extravagant this relish is. 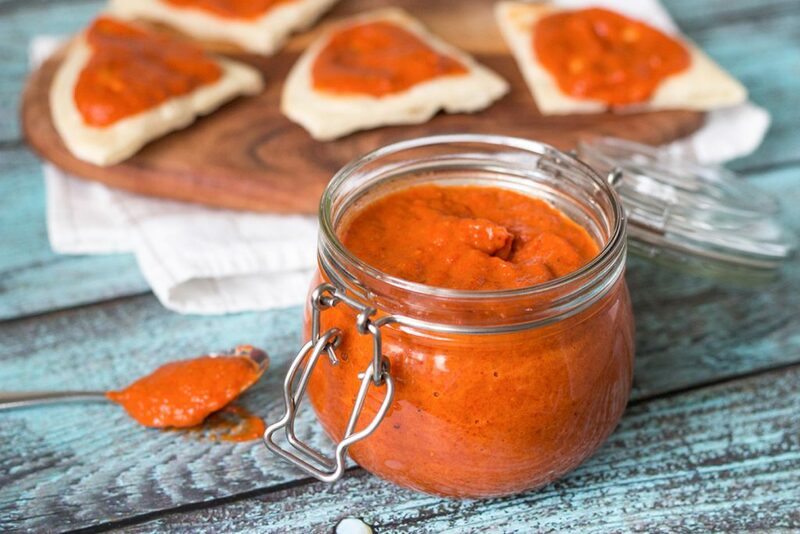 The word ajvar most likely comes from the Turkish word havyar which means caviar. This condiment is made from roasted red bell peppers and garlic, while some kinds also contain eggplant. Another thing people prepare for the winter-time is homemade jam. Although you can buy jam in grocery stores, the process of making it is a joyous ritual for Balkan families. People who live in villages make jam and zimnica in general on large wood-burning stoves. The usual fruits used are plums, apricots and rose hip, but nowadays people often make strawberry and raspberry jam as well. 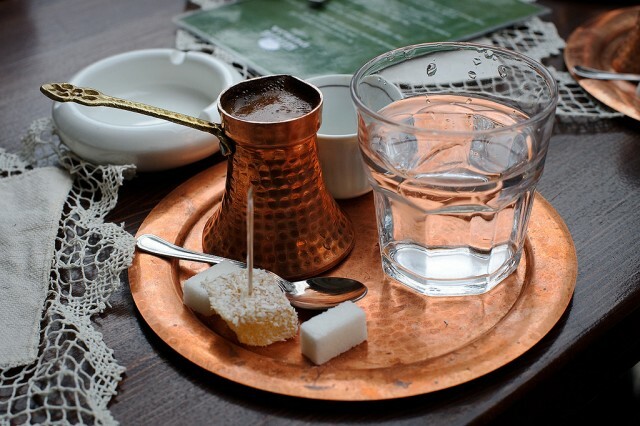 The Yugoslavia region has a strong coffee tradition. Make sure you try a strong cup of traditional coffee, in a restaurant or in someone’s home. Everyone will know how to make it. You will notice that the cafes are always filled with locals having conversations over a warm cup. Sometimes, you will even hear people say “let’s go for some coffee” and then, strangely, see them drinking beer. That’s because coffee is synonymous with sitting down and spending quality time together, no matter what drink you decide to order. If you’re in the mood to try some of Yugoslavia’s best alcoholic beverages, say no more. We have a couple of recommendations and options. Every tourist should attempt to try at least one! 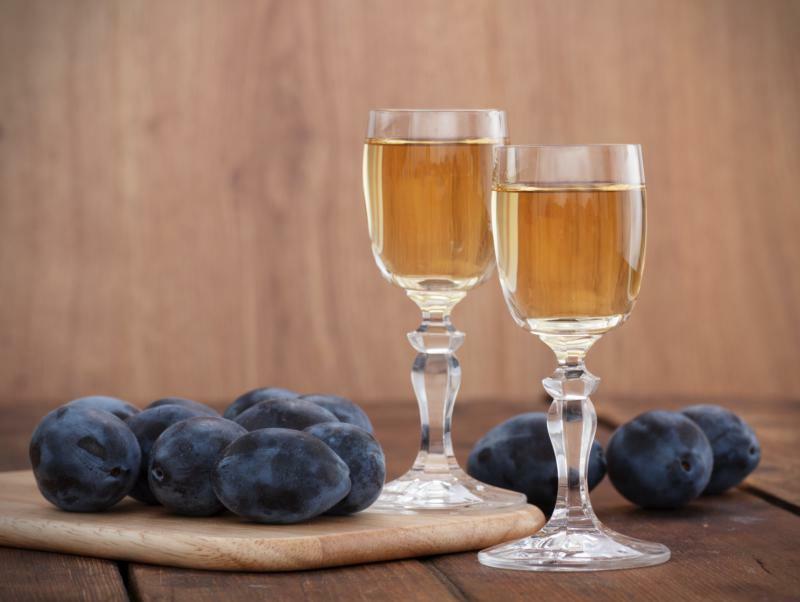 The most typical is certainly rakija, a fruit brandy you’ll be able to find in literally any place you visit. It is usually consumed before meals, in small glasses. This is the national drink of Serbia. Therefore, without a doubt, the most famous one is the Serbian šljivovica, made from plums. The plum rakija is often mixed with various herbs and other fruit as well to create different variations. Interestingly, people even believe in its natural healing powers, so it’s sometimes rubbed into the skin for treating muscle pain or high fever. 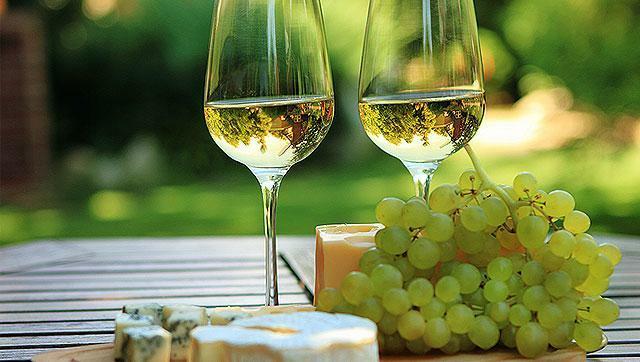 If you’re a wine lover and connoisseur, the wine regions of former Yugoslavia will be an enjoyable experience for you. Go to Herzegovina, hop into a car, follow the Vinska Cesta (Wine Route) signs and let them lead you to local wineries. Try the Žilavka and Blatina. Similarly, you can follow the wine route through the three wine-growing regions in Slovenia as well (Primorska, Podravska, Posavska). Winemaking existed in Slovenia long before it came to France. Taste the Rebula white wine! If you want to brag to your friends that you tried the wine served on the Titanic, visit Sremski Karlovci in the north of Serbia. This town with hundreds of years of wine-making tradition is where the famous Bermet dessert wine is produced. If the way to your heart is through your stomach, make sure you visit the former Yugoslav republics and try some of the traditional specialties. Ideally, you should visit all six republics in order to get a complete gastronomic experience. You will find yourself satisfied and overwhelmed by the warmth of the people. Surely, you won’t mind the warmth of rakija either. Enjoy, or as Yugoslavs would say Prijatno! 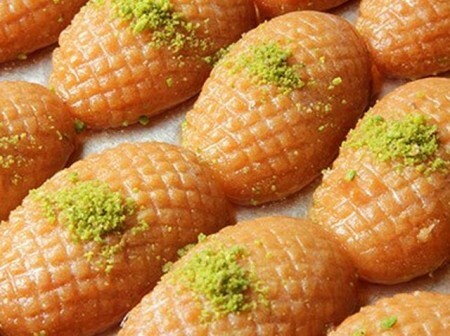 In Kosovo: Fli – a pastry which is a traditional food in Kosovo. It consists of multiple crepe-like layers brushed with cream and served with sour cream or jam or ajvar. Macchiato – the best in the world! There is also Elbasan Tava which is a dish from Elbasan in Albania but it is made in Kosovo too.